Jonathan R. Klee founded Klee & Woolf, LLP with Andrew Woolf in January of 2000 and has been in practice since 1993. As managing partner of Klee Woolf Goldman & Filpi, LLP, Jonathan has represented thousands of workers in hearings before the New York State Workers' Compensation Board, the Local 3 Joint Industry Board of the Electrical Industry Alternative Dispute Resolution Program and the Social Security Administration. He has lectured to many groups about obtaining benefits under the New York State Workers' Compensation system including continuing legal education (CLE) seminars in Advanced Workers' Compensation Law. A graduate of Oceanside High School, he received his BA from George Washington University in 1990 where he was elected and served as a Senator and then Executive Vice President of the student association. He obtained his law degree from Hofstra University School of Law in 1993 and is currently a member of the New York and New Jersey Bars as well as the Nassau County Bar Association where he previously served as Chairman of the Lawyer Referral Committee. Mr. Klee is also a member of the Injured Workers Bar Association and Workers' Compensation Alliance. 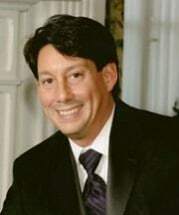 In addition to his role at Klee Woolf Goldman & Filpi, LLP, Jonathan is the President / Council Chair of USTA Eastern Long Island and previously was the Long Island representative on the USTA Eastern Section Adult League Tennis Grievance Committee where he served as Chair from 2008 - 2012. He also previously served on the USTA National Adult League Committee. In December 2014, Jonathan was appointed to the USTA National Constitution and Rules Committee for the 2015-2016 term and was appointed for the 2017-2018 and 2018-2019 terms. He was awarded the USTA Eastern League Award in 2012 for all of his volunteer work with tennis.